LA-based Patrick Martinez is no stranger to hip-hop. His earliest jobs found him art directing Concentrated Entertainment and providing album covers for the likes of Stones Throw. After completing his BA in Fine Art at the Art Center College of Design in Pasadena, Martinez began to blend his hip-hop roots with a unique approach to tackling social issues. 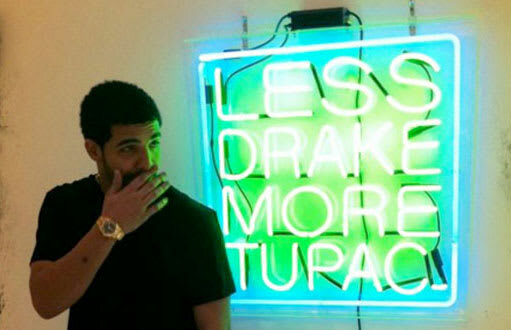 Sure, Martinez made a splash with a recent neon work titled "Less Drake, More Tupac," but don't for a second think he's a one-trick-pony. Martinez took some time to walk us through his career highlights.